SailCork have been enjoying sailing adventures for over 10 years - Croatia, Canaries, Spain, Morocco, Antigua, British Virgin Islands, St. Vincents and the Grenadines have all been cruised by SailCork. The "in" place to cruise is now Croatia in the Adriatic. 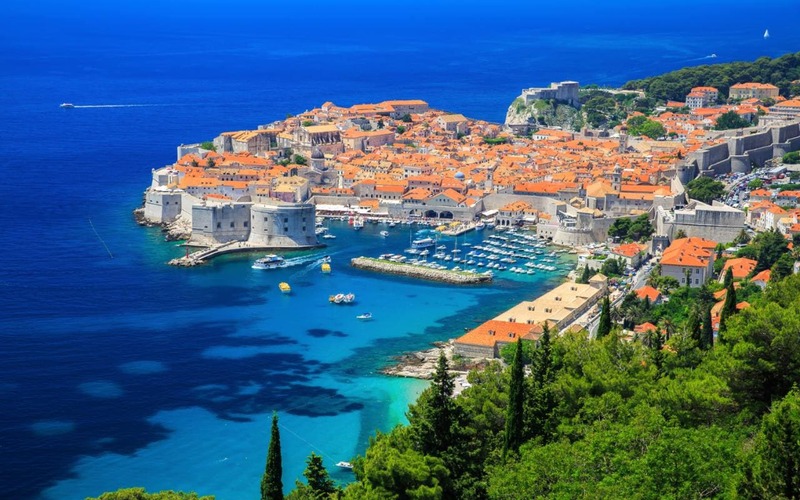 Dubrovnik and Split Airports are only 3 hours from Dublin and less from London. With gentle breezes and a balmy 24 degrees late September is the best time to sail in Croatia. 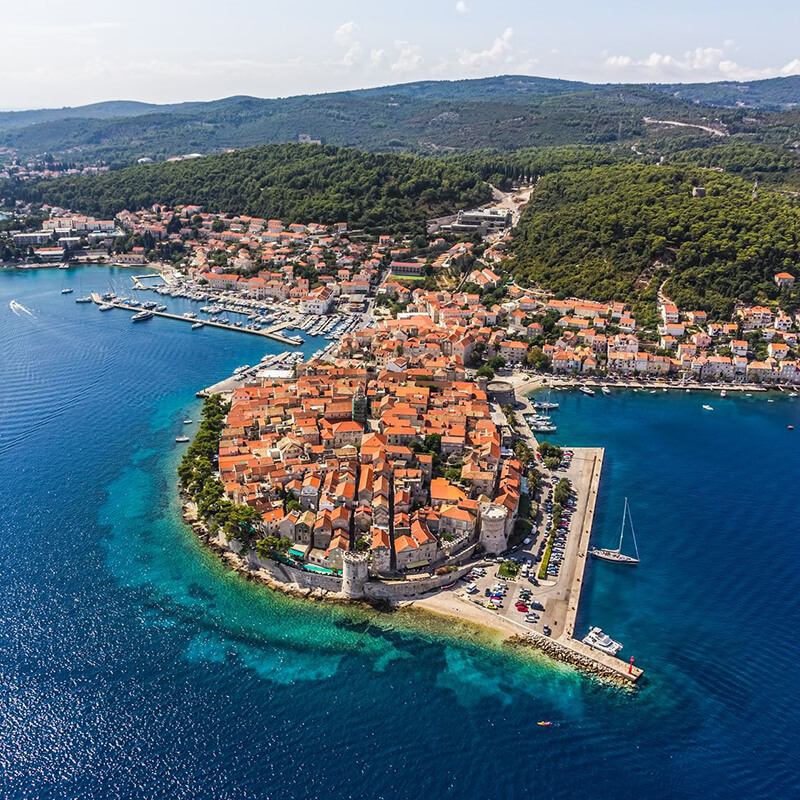 For 2018 SailCork will run 2 weeks in Croatia - each cruise will be one way ..........allowing you to enjoy more destinations without repeat visits. No fighting for berths at the marina and a more settled weather pattern. SATURDAY 22: Those flying in from Dublin arrive at Dubrovnik Airport at 11:45 (40 mins to Marina by taxi) and all the crew will meet at 13:00 at Restaurant Bazen (the restaurant by the swimming pool) at the ACI marina Dubrovnik. You can sit and relax with a beer or go for a dip in the pool to refresh after your flight. After lunch aboard we will have a briefing and ensure that the boat is ready with all the correct equipment and get provisions for the boat. We will have time to visit the old town in Dubrovnik and east ashore. SATURDAY 29: Those flying in from Dublin arrive at Split Airport at 22:40 (15 mins to Marina by taxi) We will be waiting on the boat at ACI Marina Trogir. If you are flying in earlier we will meet you at the boat at 18:00. Trogir is a beautiful town - if you arrive early we will eat out in the old town and we will give everybody a chance to have a look around on Sunday morning. The Dalmatian Coastline and its islands make for excellent sailing and marina facilities are excellent. Many smaller destinations do not have marinas but there is plenty of depth to moor stern to on to the quay wall just in front of the local taverns! The local beer and wine is excellent and a little less expensive than Ireland. Croatian food is top class too with fresh harvest from the fields and the sea. The Croats are a friendly people and the scars of the recent conflict are not evident. They LOVE the Irish - similar population size and history - and they do have a sense of humour! The sense of history is all around and this is very evident in Dubrovnik - the pearl of the Adriatic. SailCork have been running "Croatian Sunshine Cruises " since 2006 (along with Sunshine Sailing in the Caribbean, the Canaries, Spain and Morocco). We provide a top of the range boat - roomy, comfortable and a good performer under sail or power - (this year a 53' Jeanneau)and an experienced skipper (Your skipper Eddie English is the chief instructor at SailCork and is a Yachtmaster Instructor with many years experience of these waters). SailCork know all the best anchorages, marinas, restaurants, bars, swimming spots, historic trails - you will have a ball!! Teaching sailing is our game for over 40 years so learning is an option too! You can just sit back and relax or choose to advance your sailing skills under the expert eye of the skipper. It is your holiday and we are there to help you enjoy it!! Our boat is a beautiful Jeanneau 53 "Madia" - her home port is Dubrovnik. She is a modern, powerful design with lean, clean lines and sails wonderfully. She handles easily too and has a surprising turn of speed! There is plenty of room down below with a spacious saloon, a large well appointed galley and with 5 guest cabins. Plenty of room on deck too - room for sunbating up forehead and a very big cockpit with seating for everybody. Dubrovnik: The shoreside facilities are excellent - with a swimming pool and restaurants and bars. The marina is just 10 minutes from the old city - all in all the perfect place to start or end a holiday. Dubrovnik is a UNESCO listed city and has an amazing history which is very evident in the streets and buildings. It was a very powerful city state at one time and the merchants who ruled the city built it to last! Our base in Dubrovnik will be at the ACI Marina Dubrovnik - just 15 mins by taxi of bus from old town. Korcula - where Marco Polo was born. So plenty of sailing, swimming and sunning ourselves! We are looking forward to the excellent food too - and enjoying traditional Croatian hospitality.